The Grimes Lions Club provides financial support for many local community causes. A partial list includes: DC-G After Prom, Grimes Food Pantry, Grimes Giving Tree, DC-G Booster Club, DC-G Friends of Fine Arts, Grimes Public Library, Camp Hertko Hollow, and GVSS. Other causes include Make-A-Wish Foundation, Special Olympics, and Leader Dogs for the Blind. Supporting the Grimes Lions supports these great causes. In 1925, Helen Keller attended the Lions Clubs International Convention and challenged Lions to become "knights of the blind in the crusade against darkness." Since that time, Lions Clubs from around the world have worked diligently to offer programs with a goal of eliminating preventable blindness in our world. The Grimes Lions Club, the longest tenured service organization in Grimes, has for years been involved in a program known as Iowa KidSight . Iowa KidSight is a joint project of the Lions Clubs of Iowa and the University of Iowa Children's Hospital Department of Ophthalmology and Visual Sciences, dedicated to enhancing the early detection and treatment of vision impairments in young children (target population 6 months of age through kindergarten) in Iowa communities through screening and public education. Iowa law requires that all children must be have a vision screening before entering kindergarten. Iowa KidSight is free and meets the requirements. Screening consists of taking a photograph of the child's eyes with a special camera. The photo is analyzed by specialists at the University of Iowa to assess the likelihood of vision problems. Parents are notified of the results shortly after the screening. The Grimes Lions Club will be offering this program to children of parents wanting their children to be screened. Screening events will take place at daycares and preschools in Grimes and Dallas Center. Check with your daycare or contact the Grimes Lions at grimeslionsclub@gmail.com to find out when screenings are scheduled. Members of the Grimes Lions Club assisted the Grimes Park and Recreation Department in their efforts to maintain and beautify the parks and trail system in Grimes. Members planted trees at the North Sports Park and participated in the Grimes Clean and Green Day. Projects such as this is one of our many community focused service activities. Donated eyeglasses can change someone's life. They help children read, adults work and seniors maintain their independence. The Grimes Lions Club is proud to collect and repurpose used eyeglasses. The frames and lenses are delivered to the Lions Eyeglass Recycling Centers (LERCs) where they are cleaned, sorted and repaired. The refurbished eyeglasses are provided to those in need at little or no cost. You can help by depositing your used eyeglasses in any of our collection boxes. Follow this link for a list of retail locations around the community where our collection boxes are located. The Iowa Lions collects and repairs used hearing aids. The refurbished hearing aids are provided to those in need at no cost. The Grimes Lions Club supports and participates in this program. If you are in need of hearing aids and are unable to afford them, contact the Grimes Lions Club to find out if you qualify for assistance. You can donate used hearing aids or batteries by contacting the Grimes Lions at grimeslionsclub@gmail.com or by dropping them in any of our eyeglass collection boxes. The Iowa Lions Eye Bank in Coralville obtains, medically evaluates, prepares and distributes corneas for transplants, research and education. Members of Lions Clubs in central Iowa volunteer to help with transportation of donated tissue from Ames and Des Moines to Iowa City where it is used for surgery and research. Members of the Grimes Lions Club collect donated tissue from hospitals in Des Moines and transport it to Grinnell, where it is handed off to another Lion who takes it on to Coralville. The Grimes Lions Club has been around a long time, but Lions Club International has been around longer. This video is a brief summary of some of the more global issues that Lions around the globe, including those right here in Grimes, have supported and made possible over the past 100 years. Members of the Grimes Lions Club recently hosted a fundraiser breakfast in support of a family who lost their home to fire earlier this year. The family of Mike and Michelle Levenhagen had a fire at their residence on the morning of July 9, 2013. Thanks to the generosity of the people of Grimes and surrounding areas, the Grimes Lions Club was able to collect free will offerings and present a check in the amount of $2,500 to the Levenhagens to help in their personal recovery efforts. 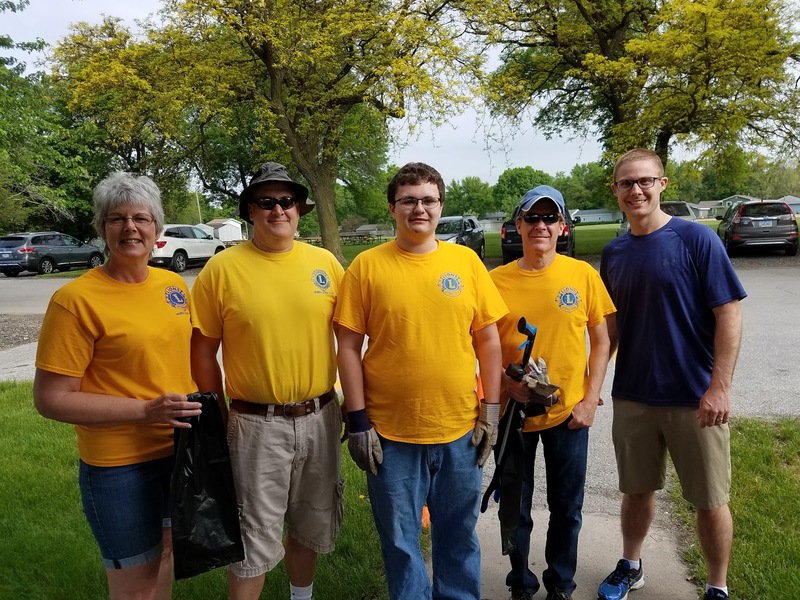 The Grimes Lions Club conducts fundraising efforts throughout the year so that they may continue to support charitable and community betterment causes, including helping those in need in and around the Grimes community. Members of the Grimes Lions Club hosted graduates of Dallas Center-Grimes High School in order to award scholarships to assist them in their planned post-secondary education. Three of the four recipients attended the dinner. Each recipient was awarded a $500 scholarship check in recognition of their outstanding achievements in school and participation in community service initiatives. The Grimes Lions Club conducts fundraising efforts throughout the year so that we may continue to support charitable and community betterment causes, including offering support for ongoing education. We are proud to work with and support these outstanding young people and are grateful to the many community supporters and donors that make awards such as these possible. 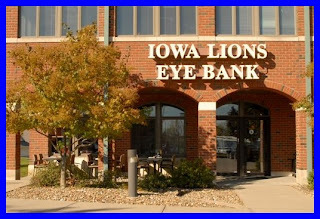 The Grimes Lions Club is a proud supporter of the Iowa Lions Eye Bank. The Gift of Sight is an amazing journey! Recently shared video testimonials from Iowa Lions Eye Bank donor families have expressed how donation has not only honored and exemplified their loved ones, but also helped them in the grieving process. Additional video testimonials from the organization's cornea recipients have conveyed overwhelming appreciation for their incredible life-enhancing and life-changing gift. Check out this very cool video, learn about what the Iowa Lions Eye Bank does, and hear from many of the wonderful people involved in the process. The link to the video can be found here: Iowa Lions Eye Bank Video .